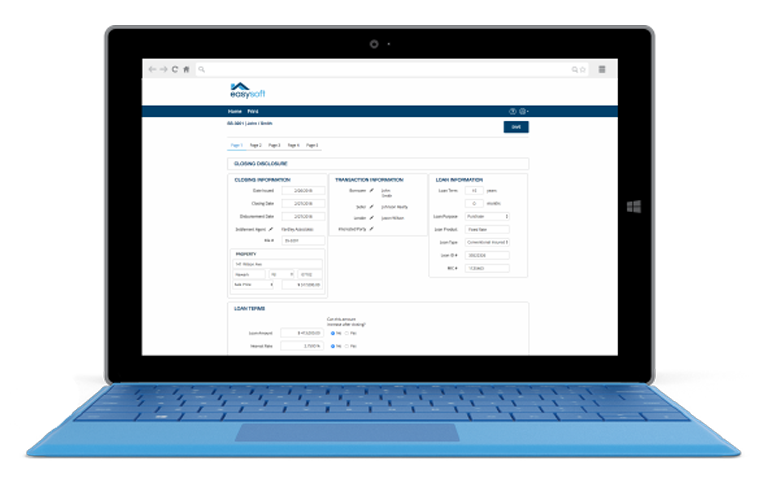 Easysoft’s closing disclosure allows your real estate closings to be fully TRID Compliant during your closing process. Our software stays current with all TILA–RESPA Integrated Disclosure (TRID) reporting requirements. Our intuitive Closing Disclosure form prompts you to enter figures into the correct form fields.